Unitarian Universalism is historically a “Free Church,” a place where people join together in “covenantal relationship.” We have faith in one another and value differences in beliefs and orientations—whether they relate to theology, politics, gender, age, ethnicity, or sexuality. Like other Unitarian Universalist congregations, UUCMP does not expect members to share a single creed, dogma, belief system or one true way, but rather welcomes a breadth of belief and uncertainty. We view membership as a choice grounded in integrity that embraces intelligence and conscience, and does not require anyone to set aside their own history or affiliations. We aim to create a larger truth that emerges when we bring our hearts, minds, and hands together. Joining also means that you will support our church and its programs. 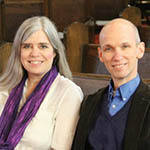 Members are expected to take an active role in congregational life, and to make financial contributions annually. Such member support is essential to maintaining the effectiveness of our church in our community. Our Membership process is designed to support your journey. We believe that the choice to join is just that—a choice. We believe people get the most out of membership when they are informed, engaged, empowered, and enlivened. We strongly encourage all potential members to come to a newcomer’s luncheon and to meet with the minister. We hold newcomer’s luncheons following worship services on several Sundays each year. The gathering is designed to familiarize you with both Unitarian Universalism in general and our congregation in particular. This is an exploration of UU heritage and history, our 7 Principles and 6 Sources, and the ways UU congregations—ours in particular—are organized. You are invited to share any questions you bring about this faith tradition and our community. You also have the chance to meet current members actively engaged in leadership at UUCMP. We encourage all those interested in joining our community to meet at least once with our minister, to talk about your specific needs, hopes, and gifts. You can join at any time by filling out a Membership Form and then meeting with one of our co-ministers, filling out some essential paperwork, considering your financial and other contributions to the community, and signing our Membership Book. We celebrate new members at regular New Member Ceremonies, held during worship approximately twice each congregational year.